Beginners can expect to gain a good grounding in the basics of rhythm, learning drum beats and patterns that will develop technical skills and general good musicianship. Various types of music will be explored. For more advanced pupils, exploring the music of their favourite drummers is supported, plus tutors help to inspire and develop their musical knowledge and technical range. One to one drum lessons ensure that every pupil makes the best possible progress each week, with undivided attention from one of Lamp House Music’s drum tutors – all enthusiastic and experienced drummers. Drum lessons will be on a full, professional drum-kit – Lamp House Music offers a unique learning set-up with a full kit for the pupil, plus a full kit for the tutor – this avoids wasting time with changeovers, ensuring that pupils get the utmost out of their lesson time. We encourage practice at home on a drum-pad in the first instance. Adult drum lessons are available throughout the week, please contact us with your availability and we will organise these for you. Lessons will be tailored to your own personal aims and to the music you want to play. 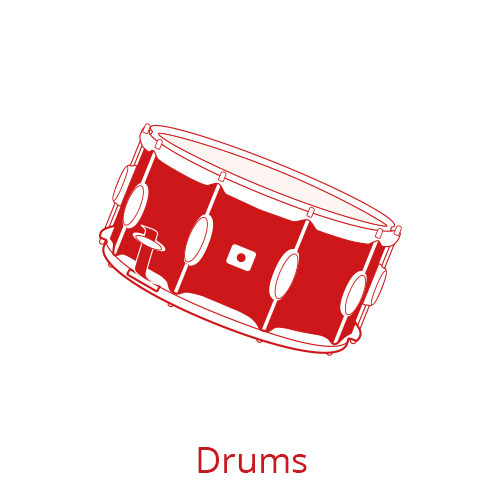 For more advanced pupils, exploring the music of your favourite drummers is supported, as is exploring different music genres to expand musical knowledge and drumming technique. One to one drum lessons ensure that every pupil makes the best possible progress each week, with undivided attention from one of Lamp House Music’s drum tutors – all enthusiastic, experienced drummers and professionally qualified musicians. Drum lessons will be on a full, professional drum-kit – Lamp House Music offers a unique learning set-up with a full kit for the pupil, plus a full kit for the tutor – this avoids wasting time with changeovers, ensuring that pupils get the utmost out of their lesson time. We encourage practice at home on a drum-pad in the first instance, but if you have a drum-kit, even better!